THE READERS RAG: ONE MORE FROM ALLEN ESKENS, THE MASTER OF SUSPENSE, "THE DEEP DARK DESCENDING"! 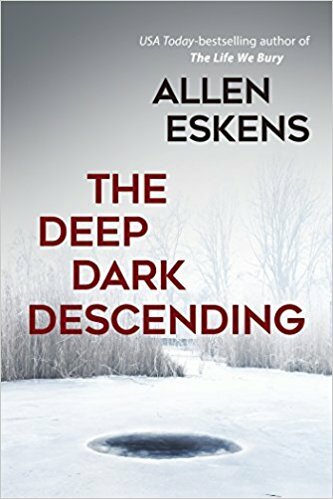 ONE MORE FROM ALLEN ESKENS, THE MASTER OF SUSPENSE, "THE DEEP DARK DESCENDING"! "I raise the ax handle for the third time and my arm disobeys me. It stiffens above my head, my hand tangled in knots of shouldn'ts and shoulds and all those second thoughts that I swore wouldn't stop me. My chest burns to take in oxygen. My body trembles with a crystalline rage, and my mind screams orders to my mutinous hand. For Christ's sake, get it over with. This is what you came here for. Kill him! But the ax handle doesn't move." So begins the novel "The Deep Dark Descending" by Allen Eskens. Homicide Detective Max Rupert finally has his wife's murderer in his power and can kill him without getting caught. But in the last moment, he finds he can't do it. The remaining novel is all about Detective Rupert's final decision--will he, or will he not--kill his wife's murderer--and not only his wife's murderer, but also the murderer of his unborn child. Will Rupert remain within the ethical boundaries he has lived in for all his professional life in law enforcement, or will he venture out beyond his boundaries into an ethical gray zone he has never experienced before. It really is up to him. Meanwhile, inconveniently enough, his target begins to regain consciousness and insists, absolutely insists, that he is not guilty and that he had nothing to do with Detective Rupert's wife's death or with any illegal activities whatsoever. What is the truth? What is a lie? As we bounce back and forth from the days leading up to Detective Max Rupert's confrontation with the person who appears to be his wife's killer, and the confrontation itself, the truth works its way through the surface. But will it emerge before Detective Rupert and his target freeze to death in the snow and ice in the subzero temperatures on a frozen lake somewhere on the U.S.-Canadian border in Minnesota? Your guess is as good as mine in this carefully wrought, suspenseful thriller! And at this point, I will admit that in the final pages of the book I had to peek at the end otherwise I would have died from not knowing who lived and who died. Furthermore, I might as well just say right now it was one hell of a good read! 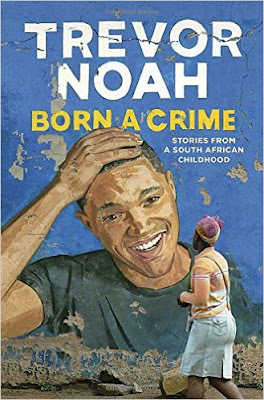 I got a copy of this book at Book Expo 2017--it is an "uncorrected advance reading copy--not for sale" and fell apart as I read through it. I enjoyed the free read as well, although I do hope the publishing company corrects the final spelling mistakes because they are annoying. Plus, the binding of the book really has to be much stronger than the copy I had! In his minimalist acknowledgements, Allen Eskens thanks Mr. Dan Mayer, among others, for all of his help. Dan Mayer is the editorial director of Seventh Street Books, as well as their acquisitions person. Mr. Mayer originally worked for twenty five years as a buyer for Walden Books, Borders Books, and also Barnes and Noble prior to joining the team at Seventh Street Books where he fortuitously made a connection with Allen Eskens. Allen Eskens himself originally came from Missouri, and once he graduated from High School he made Minnesota his home. He went to the University of Minnesota and obtained a B.A. in journalism and then obtained a J.D. from Hamline University School of Law. He took writing classes at the M.F.A. program at Minnesota State University, the Iowa Summer Writing Festival and the Loft Literary Center in Minneapolis. He is the recipient of many awards. His work has been translated into 20 languages, and he is currently hard at work on another novel. At this time, he lives with his wife, Joely, in the greater Minnesota area. He was a criminal defense attorney for twenty five years, but now he has given that all up in order to write full time. Allen Eskens is represented by Amy Cloughley of Kimberly Cameron and Associates Literary Agency located in Tiburon, California. This is the first time I've written about a California literary agency! According to Ms. Cloughley's self description, "She seeks authors with unique, clear voices who put forth smart, tightly-written prose. She is actively building her client list with both debut and veteran writers. She enjoys literary and upmarket fiction of all types in addition to commercial—including well-researched historical and well-told women's fiction. She also loves a page-turning mystery or suspense with sharp wit and unexpected twists and turns. She has a soft spot for distinctive, strong, contemporary characters set in small towns. Amy always looks for an unexpected story arc, a suitable pace, and a compelling protagonist." The book I mentioned earlier, which Allen Eskens is currently working on, is his fifth novel and is entitled "The Life We Find". It will be published in the summer 2018 by Mulholland Books, which strikes me as a step up. I look forward to hearing a lot more about Allen Eskens in the future.